In 2016, resolve to travel like a transit pro with these five Metro master tips and tricks. Even the most seasoned Washingtonian learns a thing or two each day about a tip, tweak, hack, or just plain common sense adjustment to their transit trip that makes their journey quicker, hassle-free, and more fun! Here are some of our favorites that we hope you’ll try in 2016 – happy transiting! Set up Auto Reload – You’ve got more important things to do than fuddle with a 1970s era fare machine or to get stuck at the end of your trip without enough stored value to exit the system. Set it and forget it to skip this step forever! Auto Reload allows you to set up stored value and pass products so they can be automatically reloaded to your SmarTrip® or CharmCard® when your stored value runs low or your pass is about to expire. When it comes to train cars, there’s usually more room up front or in back. WMATA runs trains in two different “consists” – those with eight cars, and those with six. For whatever reason, customers tend to gather on the platforms near the middle cars and pack them way too tightly. Meanwhile, even when the middle cars are overloaded, there is often room in the first or last car in the train (Cars 1 and 6/8). We don’t know exactly why human behavior fosters “bunching” (we do know that lack of traffic priority fosters bus bunching) but now that you know, try the first or last cars when you want to spread out and/or have a seat. Plan an exit strategy. I’m a Red Line rider and my office at WMATA is convenient to Judiciary Square. I try and make sure to board the train at Car 3, door 1. That way I’m exactly where the escalator meets the platform when I disembark. Try figuring out your exit strategy next time you travel, or use the Metro Master website. Which car and door makes the most sense for your journey? How does that work with/against the tips above? There’s an App for that. WMATA works with the developer community to help them help you. 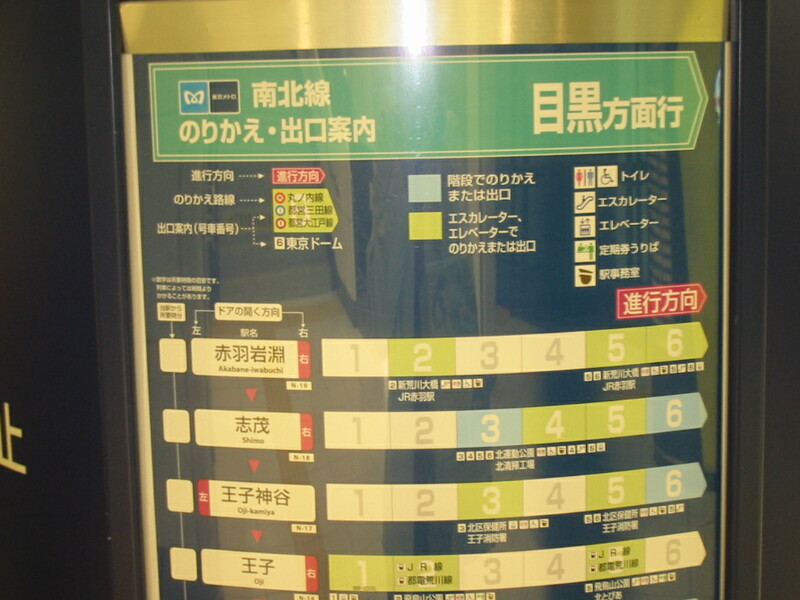 Choose from the multitude of apps out there that help you plan the perfect transit trip. Is your line running smoothly or gummed up? Hop on a bus or take the train? Blue for you or Hello Yellow? Eliminate the guesswork and join the transit technology revolution – you’ll be surprised how much easier your trip is when you app before you tap. What other tips help you ride Metro like a regular? On May 12, 2015, the Federal Transit Administration (FTA) convened an event to bring together Federal, State, regional, and local transportation officials and local stakeholders for an on-the-ground bike-ped safety assessment at the Wiehle-Reston East Metrorail station. The assessment was one of 50+ that have been occurring around the nation as part of U.S. Department of Transportation Secretary Anthony Foxx’s “Safer People Safer Streets” campaign to improve bike-ped safety across the country. These assessments have been led by many of the US DOT agencies and operating administrations, namely: Federal Highway Administration (FHWA), National Highway Traffic Safety Administration (NHTSA), Federal Transit Administration (FTA), Federal Motor Carriers Safety Administration (FMCSA), and the Federal Railroad Administration (FRA). Each of these agencies is participating in the effort to improve bicycling and pedestrian safety, and each has particular roles and responsibilities in this effort. focus on locations that have non-motorized safety challenges. 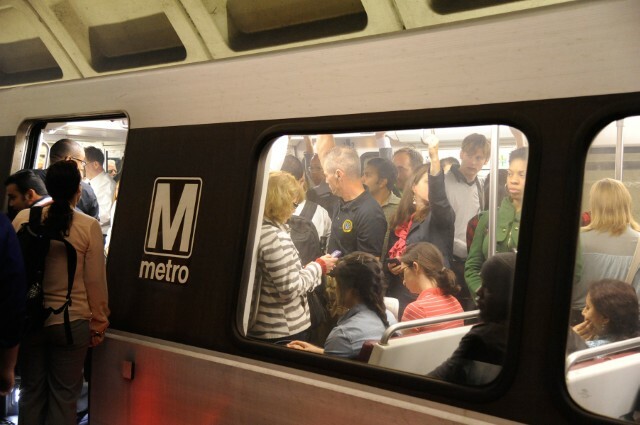 Metro’s planners provide tips on avoiding crowds this Cherry Blossom season. After this long and trying Washington winter, locals and visitors alike are marking their calendars for the 2015 Cherry Blossom Festival. While everyone knows that Metro is the best way to reach the blossoms, PlanItMetro has been digging into the data to help you minimize the crowd crush and maximize your enjoyment of this treasured DC celebration. 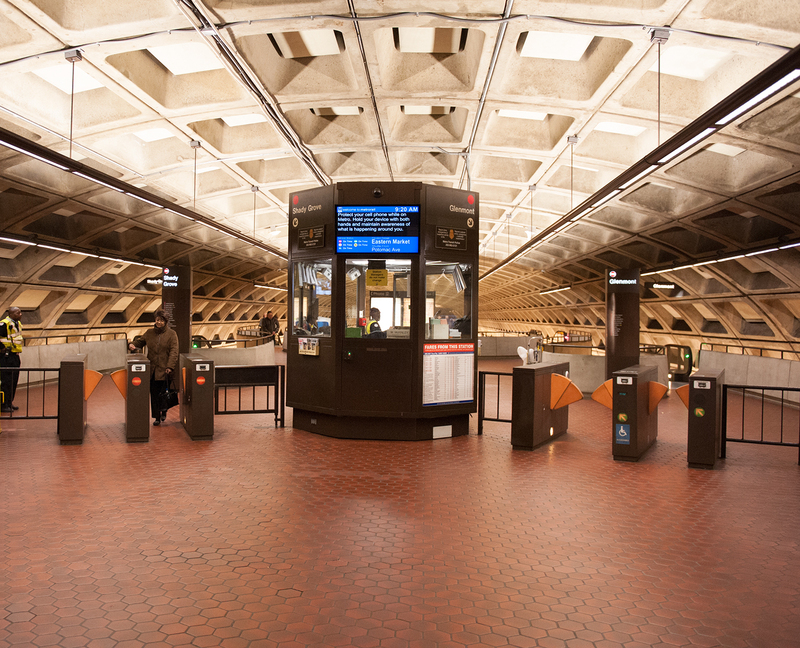 What happens to Metro ridership? As we showed last year, the Cherry Blossoms always bring a major bump to Metrorail ridership, especially on weekends and at Smithsonian station. Metro is ready for the increased demand: track work is cancelled, service levels are increased, and our customer ambassadors are out in the field to help with the needs of visitors. So how do savvy Washingtonians avoid the thickest crowds? New Station Lighting at Judiciary Square. Click image for larger version. Pilot upgrades using energy-efficient lighting at three stations have been a success, so Metro is planning to ramp up the effort to 41 more stations by 2015. 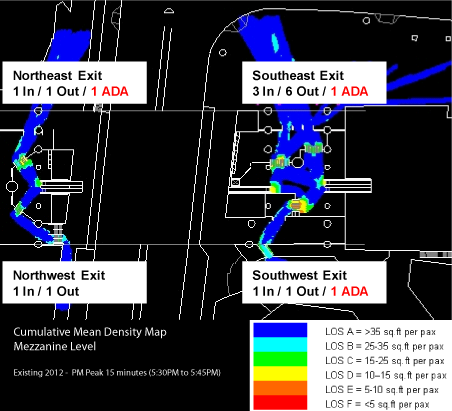 Metro recently completed retrofitting the mezzanine-level lights at Judiciary Square, Gallery Place, Bethesda, Smithsonian and Metro Center. Through careful fixture selection, the new fixtures provide a higher quality of light with an improved Color Rendering Index (CRI) thereby improving both lighting levels and overall visibility. Significantly, the new lighting design offers better light levels without compromising the integrity of the original lighting design and station aesthetic. The retrofits also provide significant lifecycle cost savings for Metro through reduced energy consumption and maintenance requirements. As we continue to improve pedestrian and bicycle access to Metrorail, Metro has recently completed several improvements on the east side of Glenmont station. Walking and bicycling are key access strategies for Metrorail, as Metro seeks to grow ridership in sustainable and cost-effective ways. As our studies have shown, accommodating new riders at our current access modal shares would be quite costly to the region. 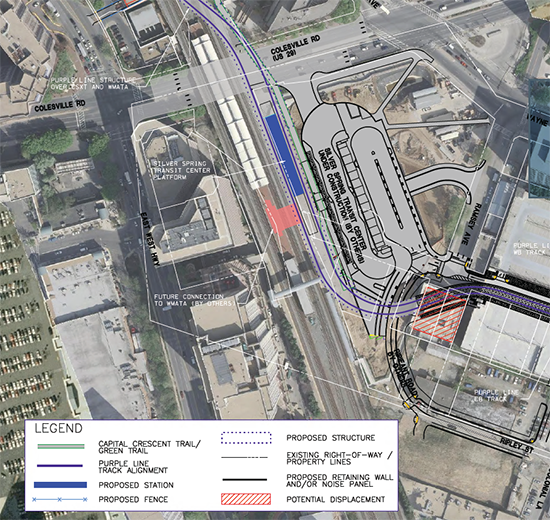 At Glenmont station, around 12% of riders in the morning arrive on foot or by bike, but there may be growth potential. Nearly 80 customers per day live within 1 mile of the station but currently park. Over 550 customers, or a third of all parking customers, live within 3 miles of the station but currently park. To make Glenmont station more attractive and safe for pedestrians and bicycles, Metro’s Parking Office has constructed new paved pathways connecting the station to the intersection of Layhill Road and Glenallan Avenue, replacing a dirt path. Metro has completed this work as part of the Bicycle and Pedestrian Capital Improvement Program.